Real. Texas. Comfort. That's what we're all about. 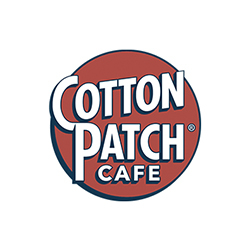 Since the day we opened the doors of the first Cotton Patch Café in Nacogdoches, Texas in 1989, these three words have been our inspiration. Our goal was to create a place where real, homemade, fresh food would be served in a comfortable and welcoming environment, full of Texas pride.